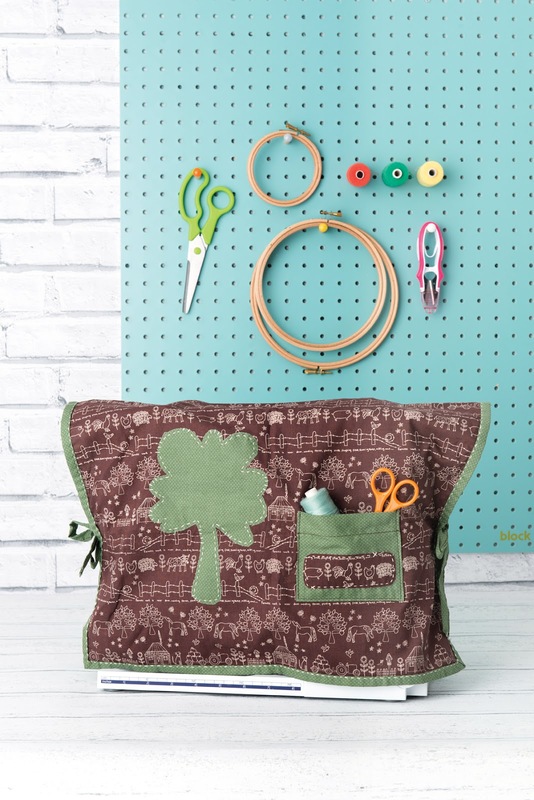 Welcome to the last stop on the Stash-Busting Blog Hop hosted by Stitch Craft Create! 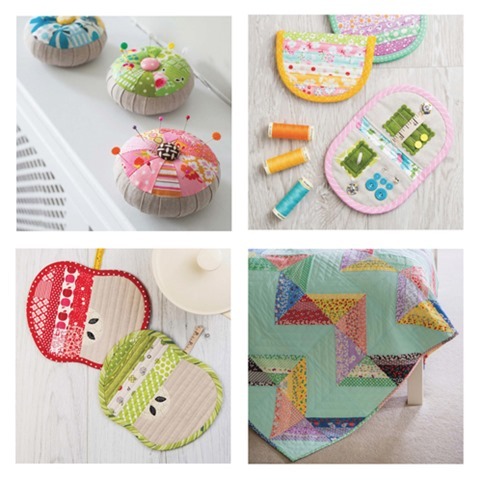 The entire month of April brought us a lot of beautiful creations, all based on either one of the books shown below: Retro Mama's Scrap Happy Sewing by Kim Kruzich, and 50 Fat Quarter Makes, edited by Ame Verso. I need one! I have been quilting for 10 years (the anniversary is this May - stay tuned for weekly giveaways! ), and my Bernina is [sort of] covered with one of my first quilt tops which was never finished. Yikes! Off to work I went, plowing through my stash. A couple of hours later... ta-da! 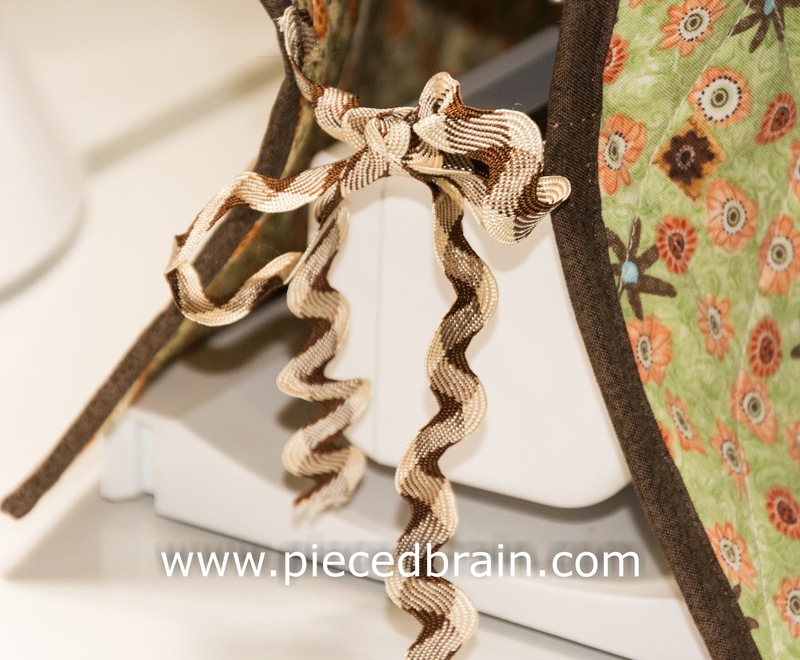 Fat quarters, ric-rac, batting, fusible web, and matching threads for the machine applique - it is all it took. 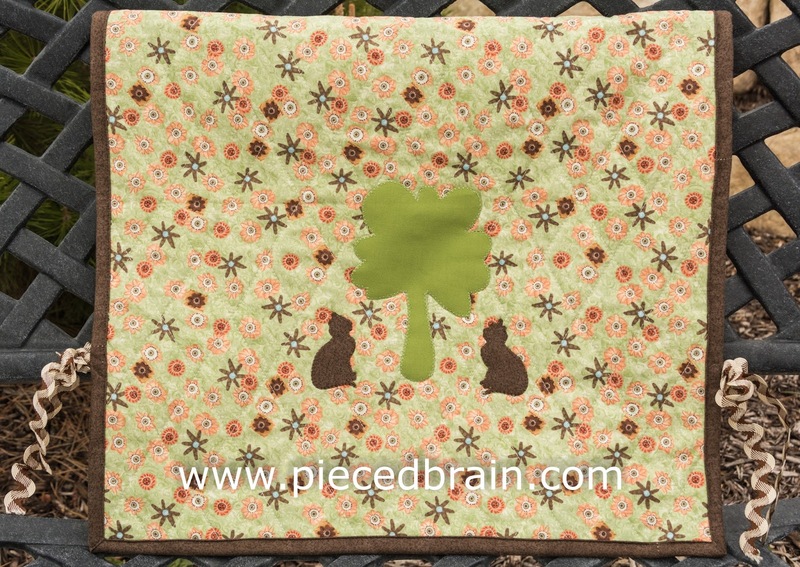 When I printed the template for the tree applique, I saw on the same page the cat silhouette. Aw... I have been missing my cats lately - Jamie passed away three years ago and Sapphire died 4 months ago. I imagined them looking up the tree, perhaps watching a bird. Both of them loved to keep me company in my studio while I worked. Now, I will always have them there with me! 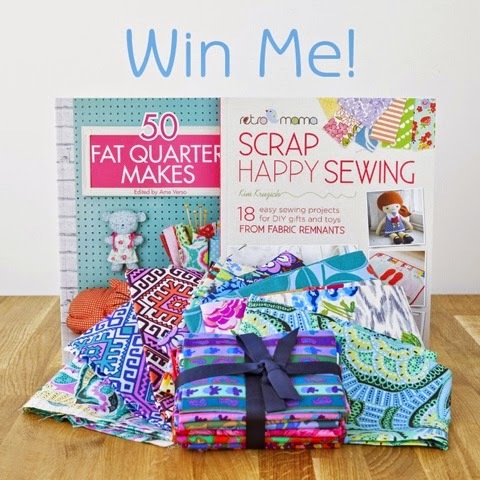 Stitch Craft Create is giving away both books as well as a bundle of designer fat quarters. Click here for more details. But hurry because today is your last chance to win. After you fill out the entry form, check out the blog line-up below for lots of eye candy and inspiration! 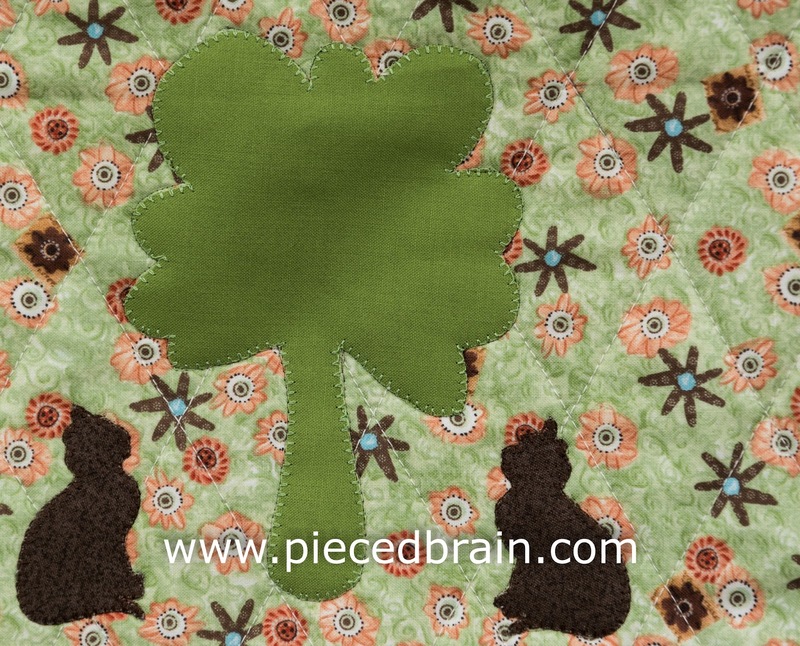 Thu 30th - Pieced Brain -You are Here! What a great way to remember your kitties. What a purrr...fect memory all the while being serviceable. Nicely done.